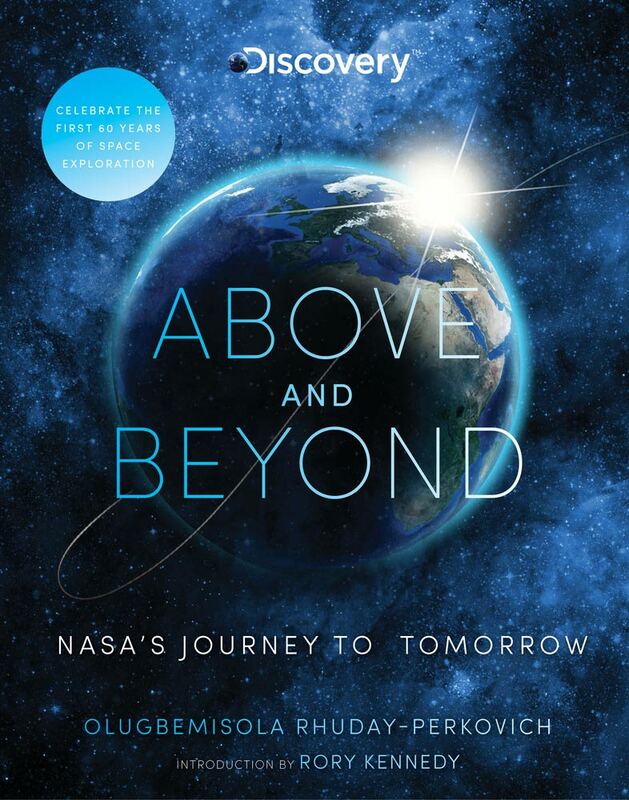 Olugbemisola Rhuday-Perkovich is the author of 8th Grade Superzero (Scholastic), a Notable Book for a Global Society and Notable Social Studies Trade Book for Young People. 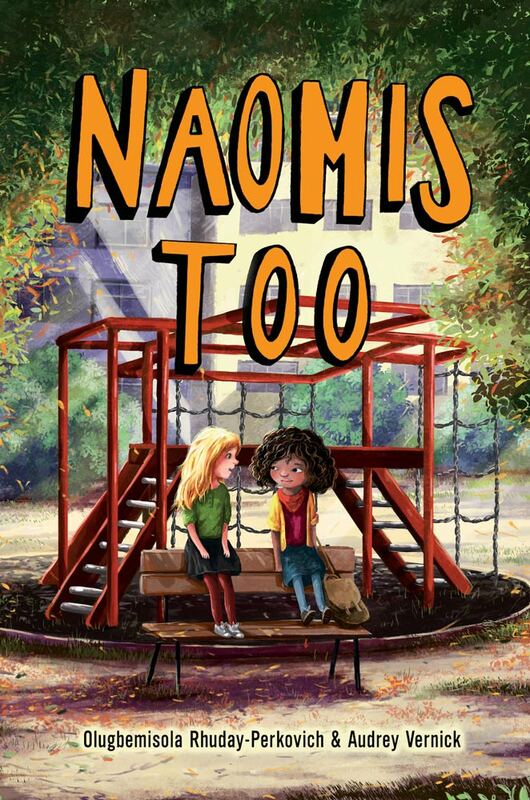 She co-authored the NAACP Image Award-nominated Two Naomis, and its sequel, Naomis Too (Balzer and Bray/HarperCollins). 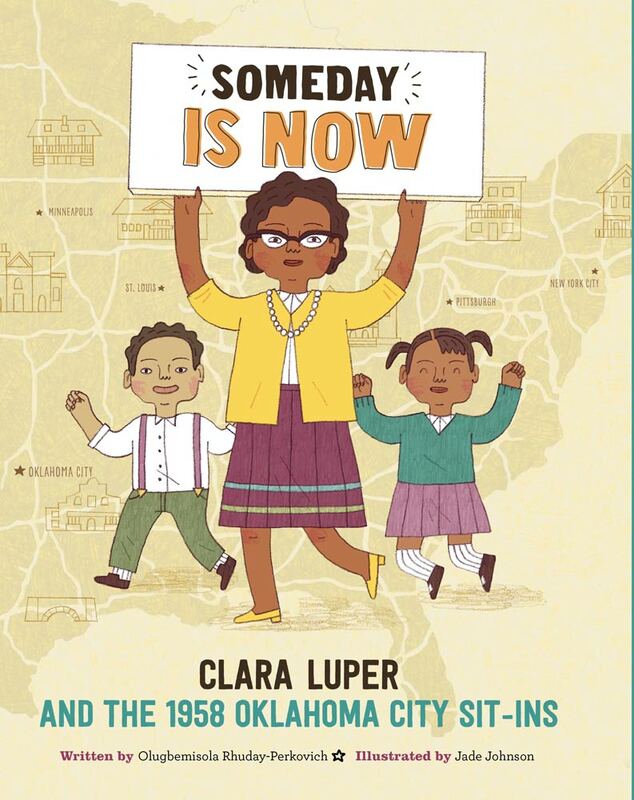 Her nonfiction work includes: Above and Beyond: NASA’s Journey To Tomorrow (Discovery/MacMillan), and the picture book biography Someday Is Now: Clara Luper and the 1958 Oklahoma City Sit-Ins (Seagrass/Quarto). 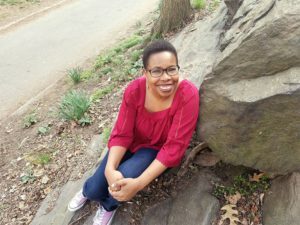 Olugbemisola is also the editor of The Hero Next Door, a 2019 middle grade anthology from We Need Diverse Books. 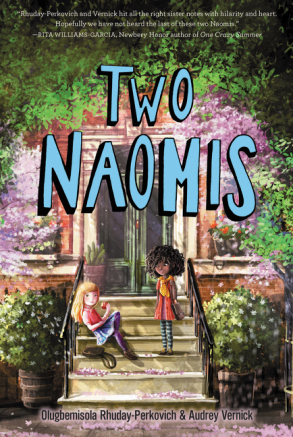 A member of The Brown Bookshelf and We Need Diverse Books, Olugbemisola lives with her family in New York City. Find her on Twitter @olugbemisola and Instagram @olugbemisolarhudayperkovich. Reginald Garvey McKnight created a superhero character in kindergarten; now he dreams of being a real-life leading man: The Guy who’s got game and gets The Girl. Instead, he threw up on the first day of school. In front of everyone. Eighth grade has gone downhill ever since. 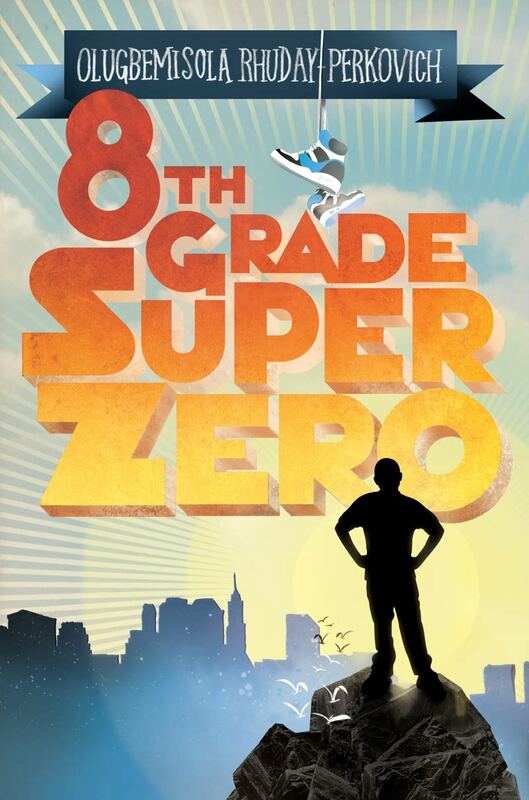 In EIGHTH GRADE SUPERZERO, Reggie wonders why things are so bad if God is so good; his faith at all levels is challenged by his friendships, his work at a homeless shelter, and a pair of “Dora The Explorer” shoes. Reggie’s involvement in a school election leads him to the superhero within; he learns that sometimes winning big means living small.